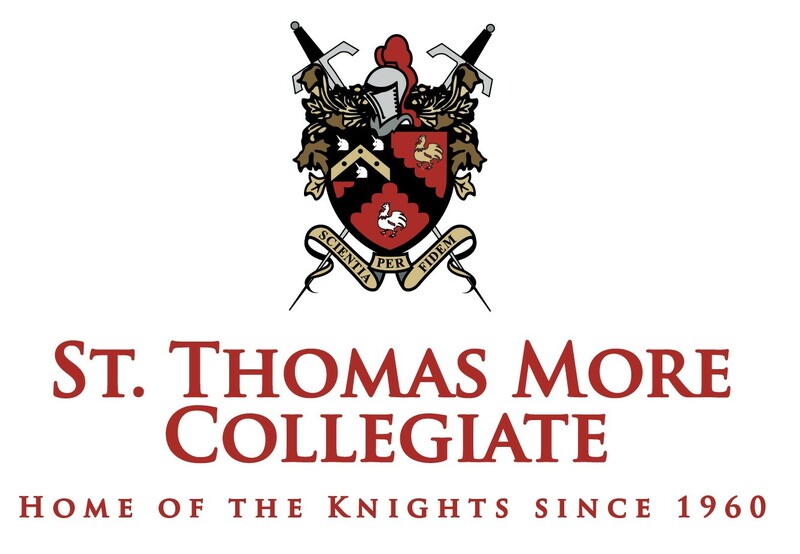 Inspired by a vision for Catholic education based on the Essential Elements of the Blessed Edmund Rice Christian Brothers, for almost six decades St. Thomas More Collegiate has been a shining example of a secondary school community centred in Faith. Now in our 59th year, from our humble beginnings, STMC has grown into a model for what is possible when a community dares to dream in bold, daring and imaginative ways. With the Knights Compass as our guide and spurred on by outstanding teachers and coaches, STMC endeavours to inspire young men and women with a well rounded focus on academics, athletics, arts, science & technology. All centred around our Catholic faith. Generations past and present have brought the school into the 21st century - becoming a co-educational school and building state of the art athletic and fine arts facilities. STMC has always been and continues to be a highly regarded educational institution. Our strength is in our community. The STMC board is looking for a strategic, visionary, energetic, President to take STMC into the next half-century. To that end, the Board is seeking a dynamic, experienced and innovative leader who embraces and lives the values of the Catholic faith, understands the essential characteristics and fundamental values of a Catholic School generally, and a Blessed Edmund Rice Education specifically. Among other deliverables, the President will be responsible for working with the Board to execute the vision and strategic plan of STMC, overseeing STMC operations within the policies established by the Board, and maintaining effective communications with the Board of Directors to ensure the health and vitality of STMC in all its areas, including Advancement and Community Relations. While the Principal, the Advancement Office team, Facilities Manager, and Business Manager report to the President, the President shares with the Principal the responsibility of providing personal and visible leadership for all school constituencies, working together to ensure an excellent school environment. Candidates must have the skills and ability to manage the business aspects involved in running a Catholic private school, drive overall advancement and enrolment, and have demonstrated the ability to lead an organization through change and innovation. Strong advancement experience including major gifts, annual giving, campaigns, planned giving, alumni relations, and marketing & communications. Knowledge of the school, the extended community, and the tradition of a Blessed Edmund Rice education. The passion for STMC’s unique culture and desire to build on the history and tradition of the school while moving it into an exciting and sustainable future. A proven ability to cultivate relationships, particularly for the purpose of providing funds for the school. Experience in the education sector is preferred. Understanding the business and financial needs of non-profit organizations generally and a Catholic school in particular. Collaborative leadership modelling with the ability to motivate, develop, and empower others. The ability to develop a successful relationship with the Principal. A Master’s degree or equivalent experience. Evidence of leading transformational change. The ability to manage conflict and deliver positive outcomes. The ability to adapt leadership style as required to meet the unique challenges of different situations. An effective use of entrepreneurial skills generally (vision/mission focus, innovation, persistence, strategic thinking, marketing/promotion, financial acumen, team building, excellent interpersonal skills) and social entrepreneurial skills specifically. STMC offers a competitive compensation and benefit package.